Omar seemed to take offense to the article because she felt she was being singled out. 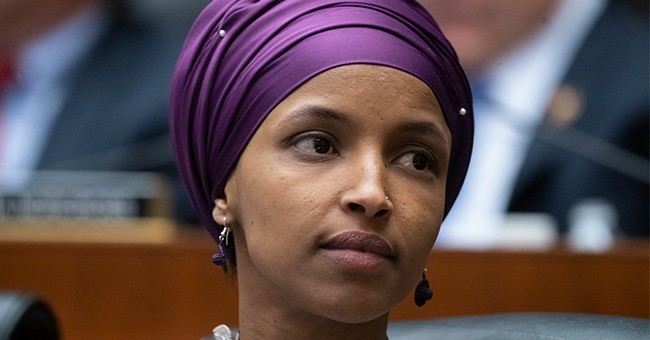 At the end of the tweet where she slammed The Hill, Omar included another short Muslim prayer about redemption. "I seek forgiveness from Allah," is what it translates to. There was nothing offensive about what The Hill wrote. Absolutely nothing. All they did was share what Omar said and where it came from. Rep. Ilhan Omar (D-Minn.) on Friday expressed support for victims of a mass shooting in New Zealand, tweeting that the devastating attack that killed an estimated 49 people in Christchurch would not force Muslims to "live in fear." "Inna lilahi wa inna ilayhi raji’un. This is chilling news to wake up to. In the face of this horror, I’m mourning with, and holding our community extra close today," Omar wrote. "We must not live in fear. I will be at Jumu’ah today and I hope others will too. Jummah Mubarak," she added. Omar and Rep. Rashida Tlaib (D-MI) have both said we live in a Judeo-Christian nation, because it's true. The majority of Americans practice some branch of Christianity. Very few of us know prayers from the Quran. Stating that fact shouldn't be frowned upon. Journalism serves to keep people informed and, in some cases, educate readers on other topics. In this case, The Hill informed readers about something they, more than likely, new nothing about. Omar wants to continually to push this theory that everyone is against her because she's Muslim, which is the furthest thing from the truth. People have condemned her anti-Semitic tropes. No one has said anything about her faith. If anything, she has been persecuting people for their faith. Do better, Ilhan Omar. Do better!